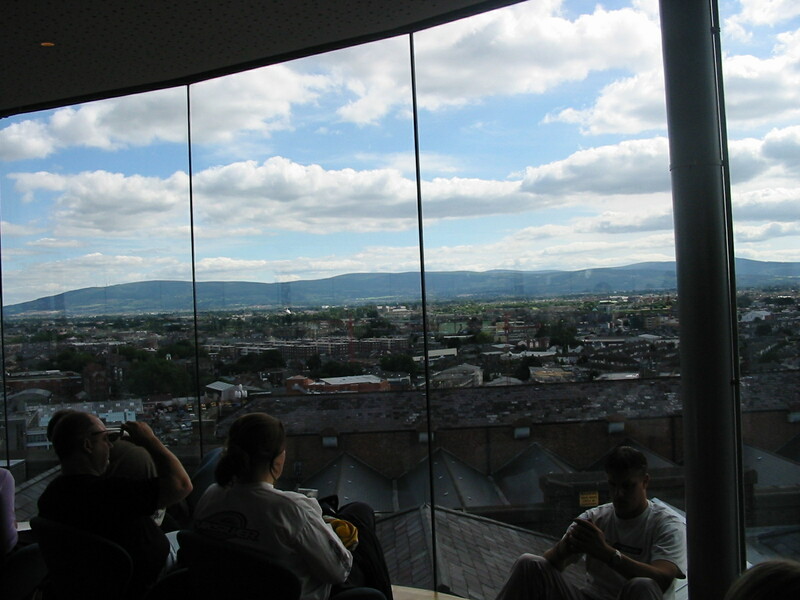 At the top of Dublin’s Guinness brewery, there’s a 2DIE4 pub…here’s one view. 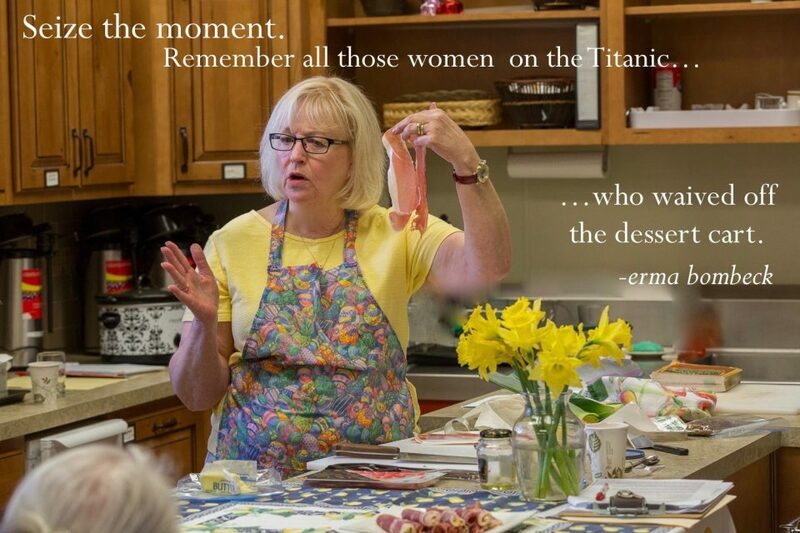 Despite the fact that I make several pots of stew over the winter each year, I remembered that one. I also remembered I was determined to recreate it from scratch if possible. 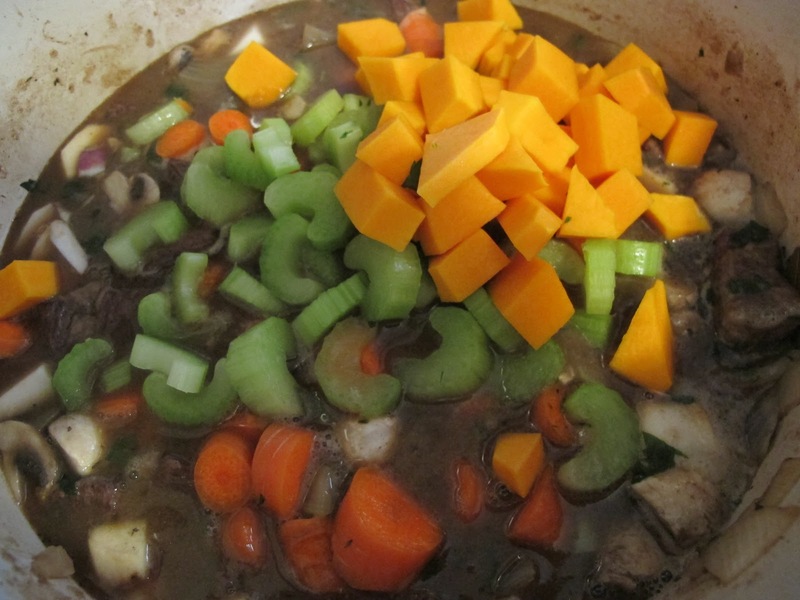 Hence this pot of stew that, by the end of the cooking, morphed into one big pot pie. 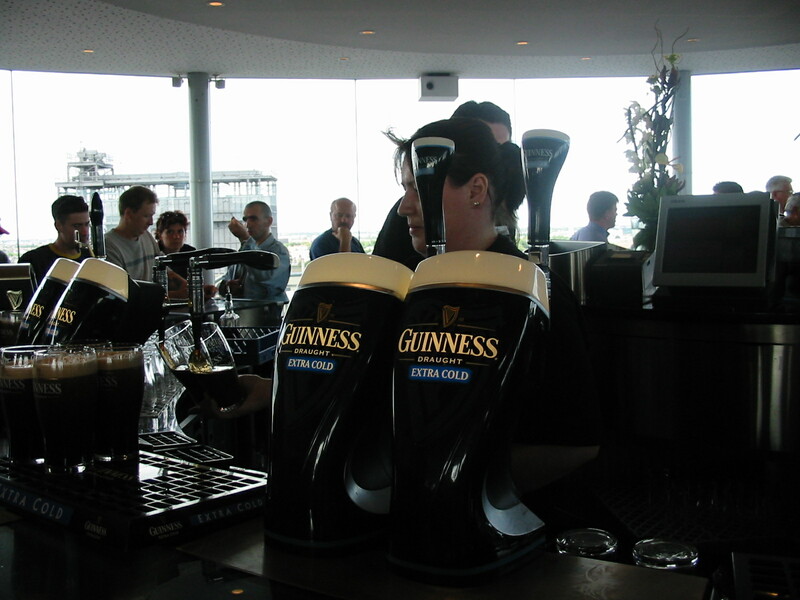 We could choose between three temperatures of Guinness pints. Dubliners love their Guinness and speak highly of the company that has employed and taken care of many of them over the years. 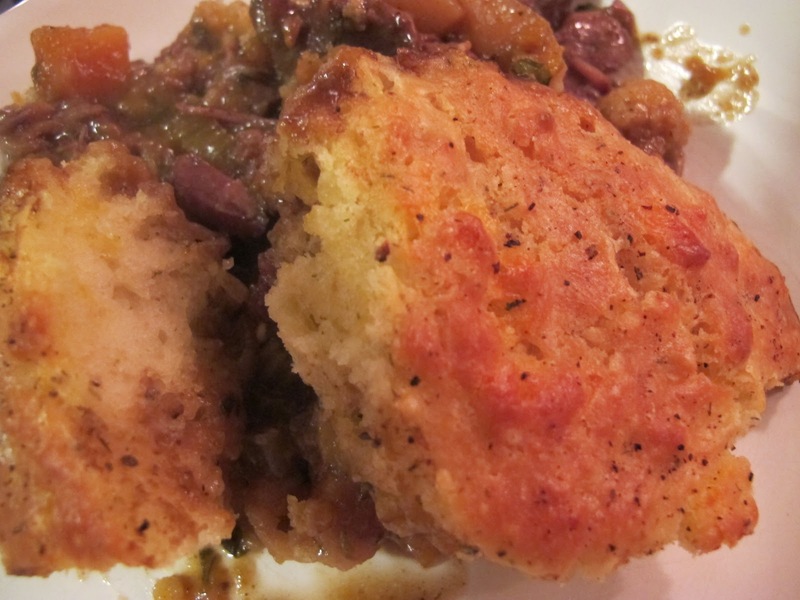 **If you’d like stew only, add a cup or two more liquid, and skip the biscuits. 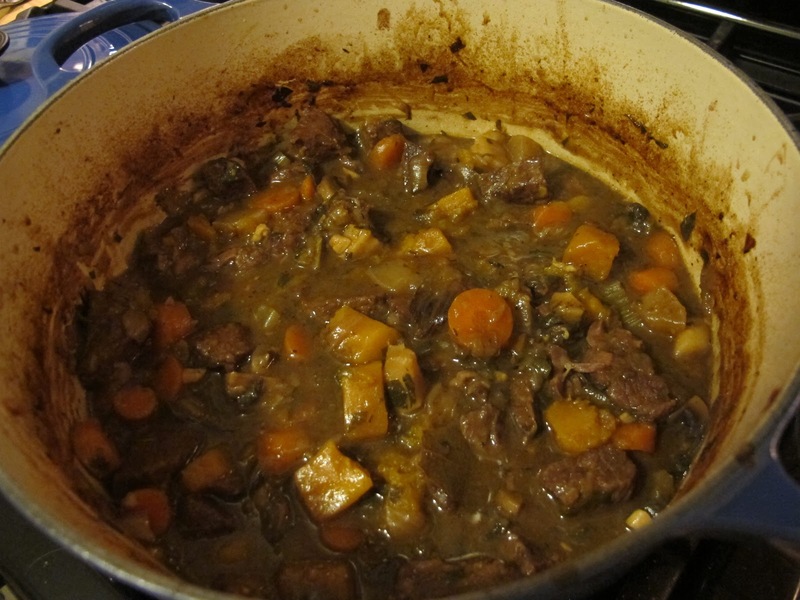 You could, without question, make the whole pot of stew in a pot on the stove. **I did not try it, but I’d guess it’s possible to make the stew all day in the crock-pot–cutting down the amount of herbs–, pour it into an oven-safe pot and bake with the biscuits right at dinner time. **Another option might be (again, I didn’t try this) to cool the stew and top it with puff pastry, brushing the pastry with a little melted butter or an egg wash–one egg beaten well with a teaspoon of water. (If you put the puff pastry on hot stew, it’ll be melting.) You would then need to bake in a hot oven (400 degrees F) until the puff pastry was golden. That might appeal to some cooks more than making biscuit dough. Here’s a method. **Like Bisquick biscuits? Go on; I won’t know, though I encourage you to learn to make biscuits. I once knew a woman whose husband insisted he married her because she could make beaten biscuits in her sleep. ** I also give directions –see “Cheddar-Dill Biscuits” scrolling down — for baking and serving the biscuits separately if that suits you better. Total preparation and cooking time: approximately 2 1/2 – 3 hours. Preheat oven to 350 degrees Fahrenheit. To an 8 qt Dutch oven over medium-high heat, add 3 tablespoons canola oil. When hot, add 2-3 pounds beef chuck (seasoned well with 1/2 teaspoon kosher salt and 1/4 teaspoon pepper) cut into 1 – 1 1/2 inch pieces. Brown well in two batches, removing the first batch to a plate while you cook the second. To the second batch of browning beef, add 2 large chopped onions. When beef is nearly brown, add four cloves chopped garlic. 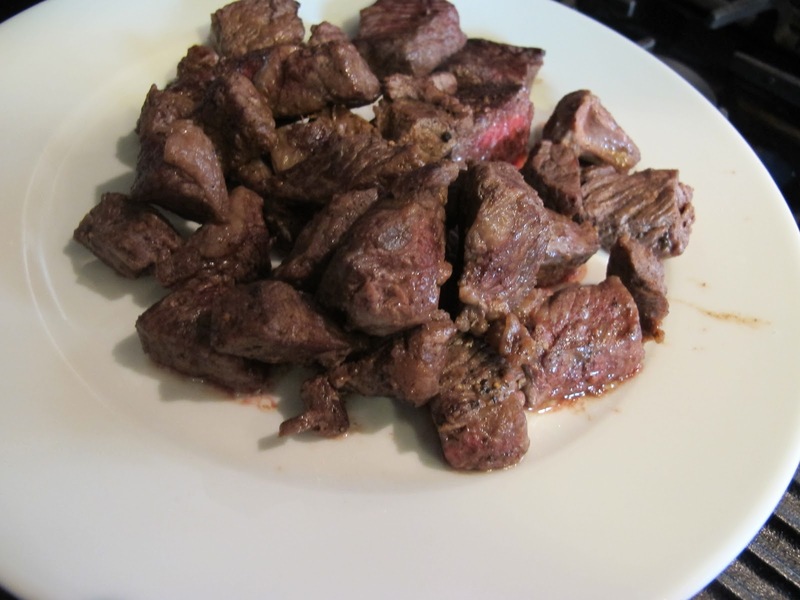 Cook a minute, return first batch of beef to the pot, and stir in 2 tablespoons flour. Cook 2 minutes, stirring. 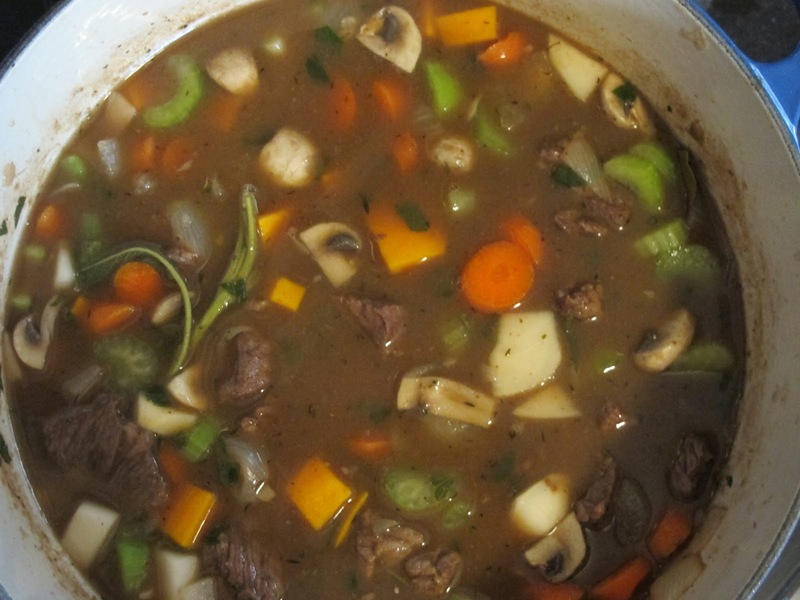 Pour in 2 cups each beef broth and Guinness stout, and stir well to scrape up the bits at the bottom of the pot. Add 1 bay leaf, 1/2 cup chopped fresh parsley, a large sprig each of fresh rosemary, thyme, and sage. 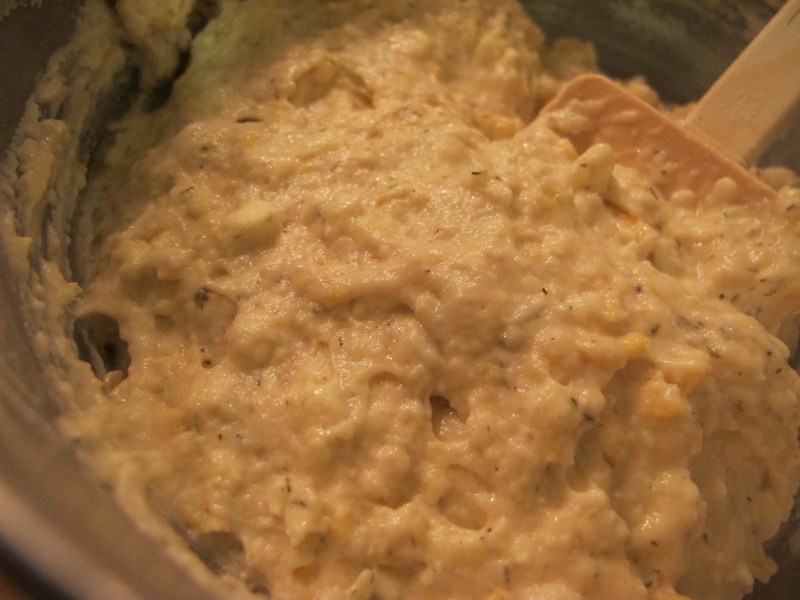 * Stir in 1/2 teaspoon prepared horseradish or a good hard shake or two of Tabasco. Add 4 ounces quartered button mushrooms along with one each turnip and parsnip , 2 carrots, 2 stalks celery, and 1 cup of butternut squash, all cut into around 1/2 inch pieces. Bring to a boil stirring occasionally. Taste and adjust seasonings. 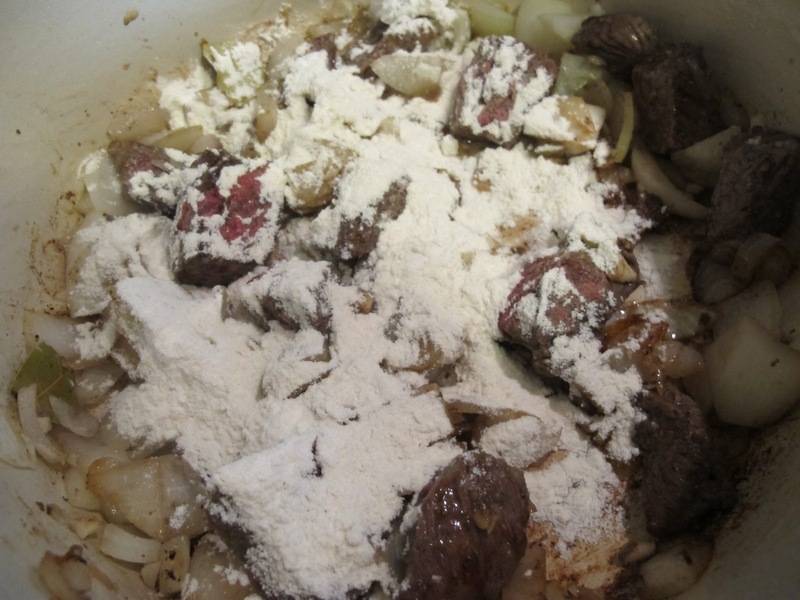 Cover and bake in the oven 1 1/2 – 2 hours or until beef and vegetables are tender and sauce is thickened. 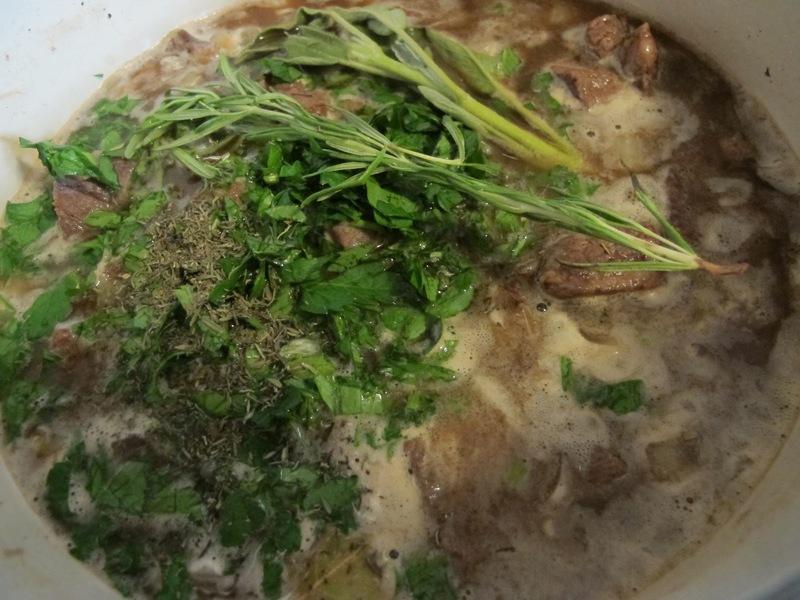 Remove from oven and take out the fresh herb sprigs.^ If stew is very, very thick, add a cup water or broth, but no more stout. 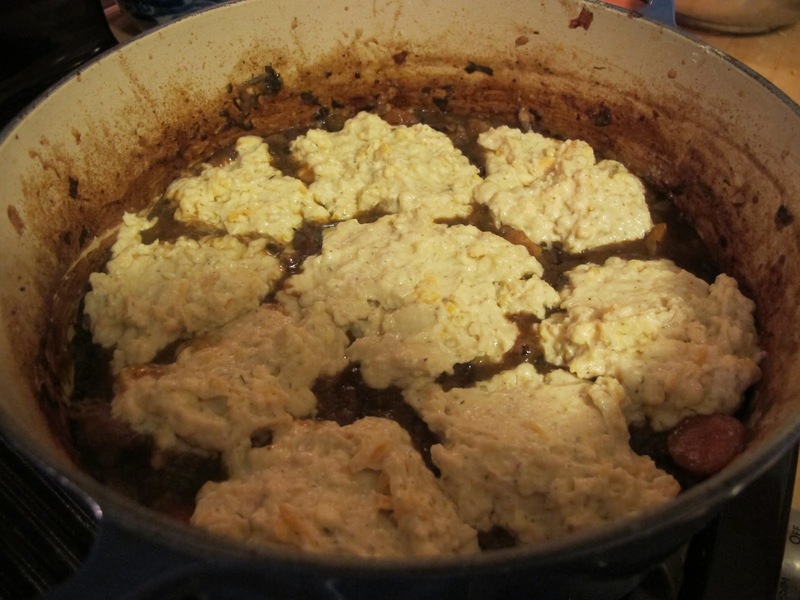 Biscuits will soak up a lot of the liquid as they bake in the stew. 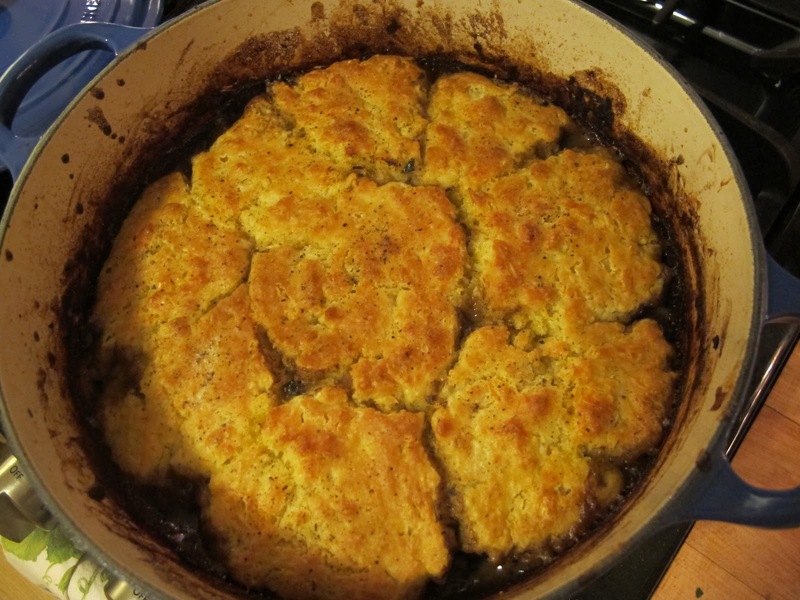 Spoon biscuit dough (I used a wooden spoon) onto the top of the cooked stew. Brush biscuits with a tablespoon of melted butter. Biscuits will rise and expand to nearly cover top of pie. Return to oven and bake uncovered another 20-30 minutes until biscuits are golden brown. Serve hot with a crisp green salad. Store leftovers well covered in frig 2-3 days. Rewarm in another casserole in oven. Ingredients List (see below for biscuit ingredients): 2-3 pounds beef chuck roast cut into 1 – 1 1/2 inch pieces; salt and pepper; 2 large onions; 4 cloves garlic; 3 tablespoons all-purpose flour; 2 cups each beef broth and Guinness stout**; 4 ounces button mushrooms; one each turnip and parsnip; 2 carrots; 1 cup cut butternut squash; 1/2 cup chopped parsley, 1 bay leaf, and 1 sprig each rosemary, thyme, and sage*; 1/2 teaspoon prepared horseradish or Tabasco. *You may substitute two teaspoons each dried rosemary (crumbled) and thyme with 1/2 teaspoon ground sage. **If you don’t want to use beer, use all beef broth. ^ Leave in bay leaf. Whoever gets it has good luck! 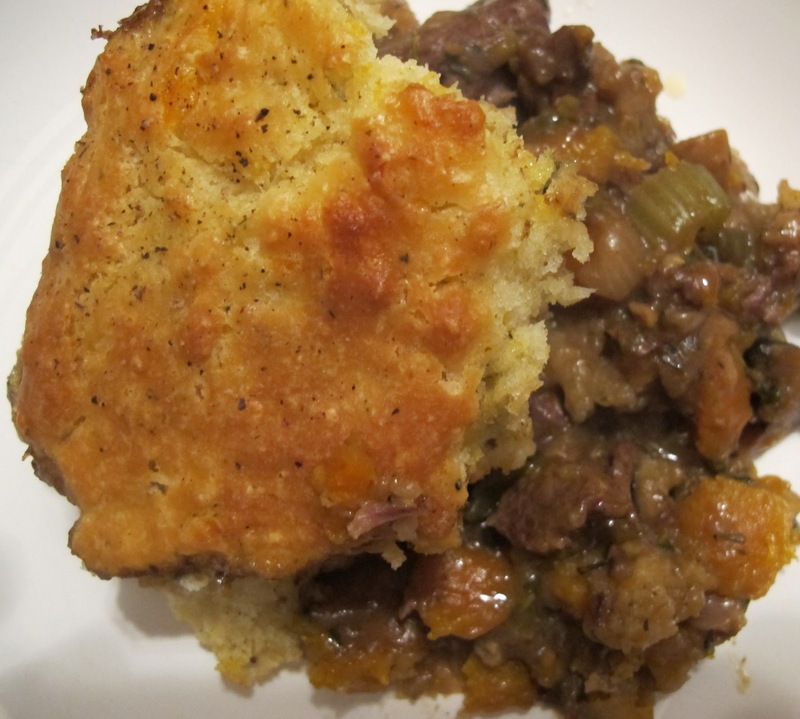 Cook’s Note: This recipe is for the biscuits cooked in the stew. If you want to bake a pan of these biscuits separately, decrease the milk to 2/3 of a cup and mix until the dough just comes together. Turn out onto a floured board or counter and knead 10 times or so before patting or rolling out the dough until it’s about 1/2-inch thick. Cut biscuits out with a floured 2-inch round biscuit cutter. You could also cut the biscuits into squares or rectangles with a sharp knife. Bake at 425 degrees Fahrenheit (220C/Gas Mark 7) on a baking sheet or in a big (10-inch) pie plate for 15 minutes or until golden. You can serve the biscuits with a pie server in the pie plate at center of the table. They’ll stay warm a good long while and your family or friends can help themselves.